At a meeting in Canada in July 2018, espionage chiefs from Australia, Canada, New Zealand, the U.K. and the U.S.—all signatories to a treaty on signals intelligence, and often referred to as the “Five Eyes”—agreed to do their best to contain the global growth of Chinese telecom Huawei, the Wall Street Journal reported on Friday, citing a prior report from the Australian Financial Review. Discussions touched on concerns about China’s cyber espionage capabilities and growing military expansion, people familiar with the meeting said. One focus was how to protect telecommunications networks from outside interference, according to one person familiar with the discussion. Five Eyes members have long had differing levels of concern over Huawei and other Chinese equipment makers. They have also differed sharply in their tolerance for Huawei, in particular, as a supplier to their national telecommunication carriers. The U.S. has all but banned Huawei gear, while U.K. carriers have been big customers. Reflecting that divide, a person familiar with the meeting said participants agreed that an outright ban in many countries was impractical. 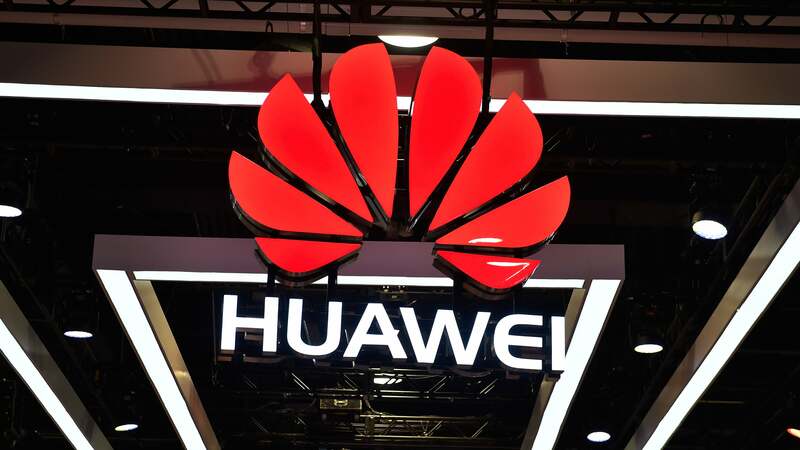 ... After the meeting in Canada, first reported by The Australian Financial Review, some of the typically reticent intelligence officials who were there made unusual public comments about what they saw as a growing threat posed by Huawei. Intelligence officials from the countries involved have, in the past few weeks and months, publicly raised concerns about Huawei without going into much detail about the specifics. Australian Signals Directorate Director-General Mike Burgess warned that the country’s entire transport and utility grids were at risk if 5G networks were open to attack, the Journal wrote, while British Secret Intelligence Service chief Alex Younger said the UK needs to think carefully about whether it trusts Huawei with 5G expansion. Canadian Security Intelligence Service head David Vigneault also raised concerns in general about “increased state-sponsored espionage in fields such as 5G,” but did not go into specifics, the paper added. The U.S. has been pressuring German authorities for months to drop Huawei, according to people familiar with the matter, but the Germans have asked for more specific evidence to demonstrate the security threat. German authorities and telecom executives have yet to turn up any evidence of security problems with Chinese equipment vendors, according to a person familiar with the matter. Australia and New Zealand have barred Huawei Technologies Ltd. as a supplier for fifth-generation networks. They joined the United States and Taiwan, which limit use of technology from the biggest global supplier of network switching gear. Last week, Japan’s cybersecurity agency said Huawei and other vendors deemed risky will be off-limits for government purchases. There is some scepticism as to whether Huawei truly is an espionage threat or whether the suspicions are a pretext to try and blunt the growth of Chinese competition to Western firms. The company is the world leader in mobile network gear, particularly in Asia, Africa, and Europe, comprising 28 per cent of the $US32 ($45) billion market in global sales in 2017. Per the AP, there are concerns that excluding Huawei could raise prices and slow innovation, as countries that bar the company from government-funded network expansions may be forced to largely rely on just two major competitors: Ericsson (27 per cent) and Nokia (23 per cent). Other companies in the market include Chinese manufacturer ZTE and South Korea’s Samsung Electronics Corp, the AP noted, but ZTE has faced much the same pushback as Huawei. Huawei has also been in the headlines recently due to Meng Wanzhou, its chief financial officer and the daughter of its founder Ren Zhengfei. Canadian authorities recently detained Meng at the behest of U.S. authorities seeking her extradition on accusations she portrayed a de facto Huawei subsidiary, the Hong Kong-based Skycom, as an independent company in order to trick Western financial institutions into processing transactions related to attempted sales of embargoed HP telecommunications gear to Iran. As the U.S. and China are also locked in a trade war that is now in the middle of a shaky truce, the detention is escalating tensions between the two countries at a less than ideal time. China has warned of “grave consequences” if Meng is not released, while there were rumours some White House officials planned on using her as a sort of bargaining chip during negotiations. “This is something that’s definitely concerning Huawei at this stage, because there is a political angle to it and a business angle,” Nikhil Bhatra, a senior researcher for International Data Corporation, told the AP.